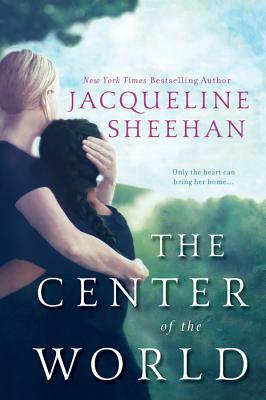 In New York Times bestselling author Jacqueline Sheehan’s evocative and emotionally compelling novel, a mother and her adopted daughter each embark on a journey of self-discovery in the wake of a stunning revelation. How do you keep a secret so huge that it could devastate everyone you care about? For Kate Malloy, the answer is simple: one lie at a time. That’s how she has protected her daughter for more than a dozen years, shielding her from a terrible truth. Sofia, a fifteen-year-old soccer star living in New England, believes she was born in Mexico and legally adopted by Kate. But a posthumous letter from her stepfather tells Sofia a different story—one of civil unrest and bloodshed, death-defying heroism and child-smuggling, harrowing sacrifice and desperate decisions. Sofia’s trust in her mother is shattered. At last Kate must do what she knows is right—accompany Sofia back to Guatemala, the place where Kate found horror and heartache but also the greatest joy of her life. As mother and daughter confront the damage done by years of dangerous yet necessary deceptions, they discover how much love, hope, and happiness may still remain—if they have the courage to face their past. Jacqueline Sheehan, Ph.D., is a fiction writer and essayist. She is also a psychologist. She is a New Englander through and through, but spent twenty years living in the western states of Oregon, California, and New Mexico doing a variety of things, including house painting, freelance photography, newspaper writing, clerking in a health food store, and directing a traveling troupe of high school puppeteers. She is the acclaimed author of the novels The Comet’s Tale, a Novel about Sojourner Truth; Lost & Found; Now & Then; and Picture This. She has also published travel articles, short stories, and numerous essays and radio pieces. She lives near Northampton in central Massachusetts. Her website is www.jacquelinesheehan.com.